Work injury compensation for emergency services workers. That's our specialty. If you’ve been injured on the job as an emergency services worker, we’ll help you get the maximum compensation payments available to you. Our specialist work accident injury lawyers ask more questions and get to know you personally, so you’ll get more compensation. Whether you’re a police officer, fire fighter or paramedic, we understand you put yourself at risk every day to help others. Over the years we’ve helped hundreds of emergency service workers who’ve been injured in the course of doing their job. But getting injured is not part of your job, so if you’ve sustained an injury you should report it to your employer and make sure a workers compensation claim is lodged on your behalf. It also makes sense to speak to a specialist workers compensation lawyer who has experience with emergency services workers as soon as possible and get advice. What sort of injuries can I claim for? As an emergency services worker you’re regularly exposed to situations that can cause physical injuries, but you can also be affected psychologically by the incidents you attend. This can result in conditions like depression and PTSD that impact your ability to work. Many of our clients have also had injuries that developed over time from heavy lifting and wearing equipment like gun belts. 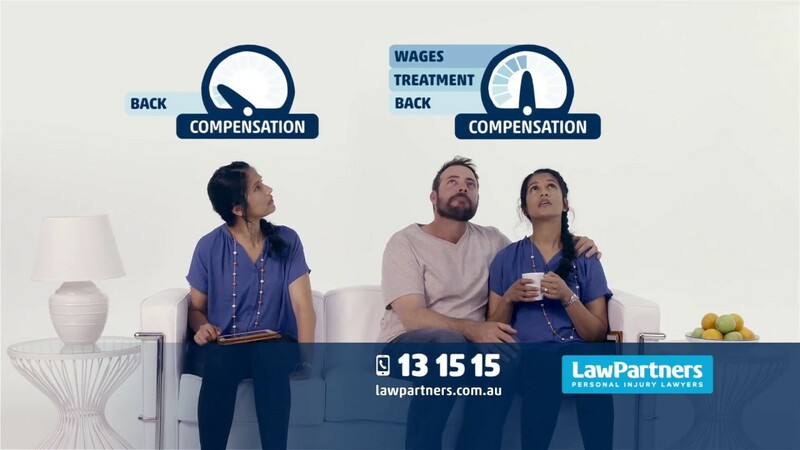 At Law Partners we have extensive experience helping emergency service workers claim compensation, and our specialist lawyers are available to provide free advice over the phone on what you can claim. What are my rights if I receive a Section 74 notice? The insurer is not required to simply accept and pay for your claimed injuries without question. If it’s not prepared to admit liability, it can issue you with a notice under section 74 of the Workplace Injury Management and Workers Compensation Act 1998 (NSW) and deny liability for your claim. The reasons provided by the insurer for denying liability can often be difficult to understand, particularly if you’re emotionally invested in the outcome and struggling with health issues at the same time. It’s important to obtain legal advice as soon as possible after receiving a section 74 notice. We can assist you to respond to the insurer’s notice. We’ll review the materials they’ve used to come to their decision, assess the validity of the denial of liability, and provide advice on your next steps – including potentially requesting a review by the Workers Compensation Commission.